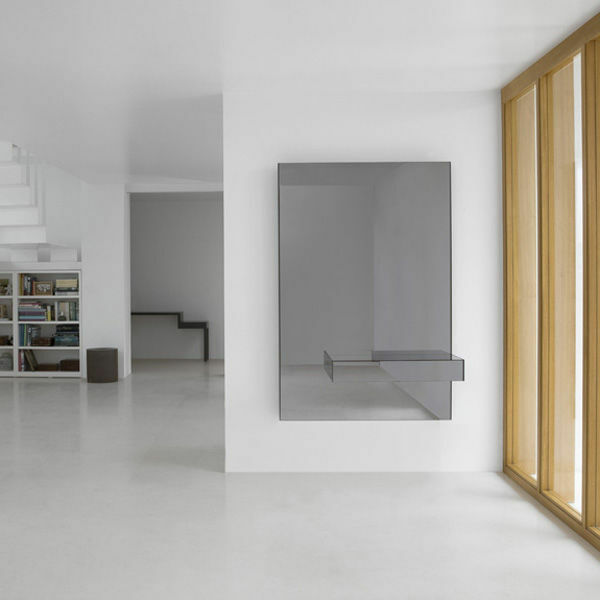 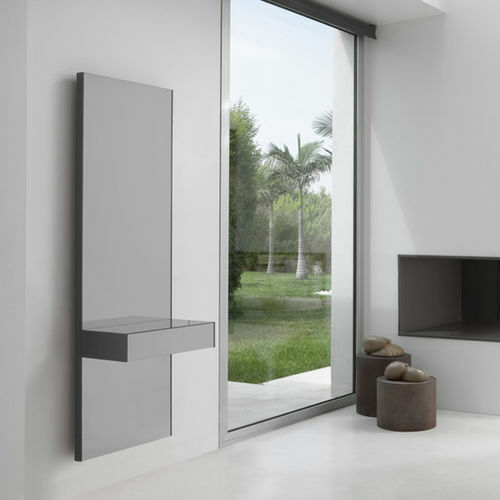 A collection of consoles comprising a back panel with a smoke grey mirror and a drawer in the same material. 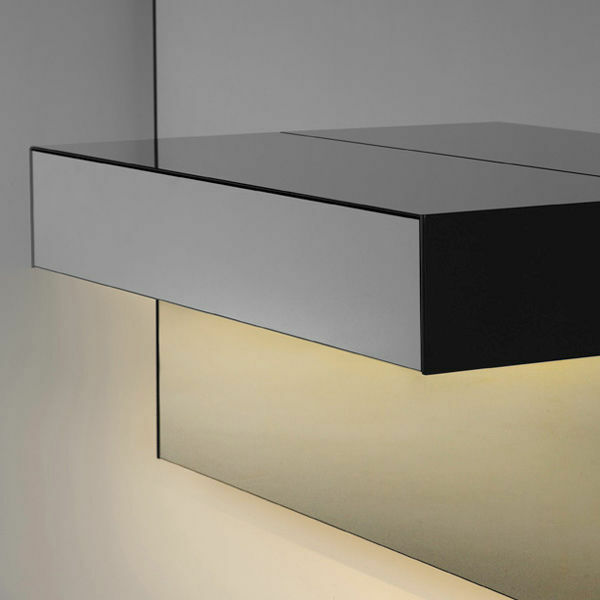 Optionally, the base of the drawer can be fitted with LED lights for indirect lighting. 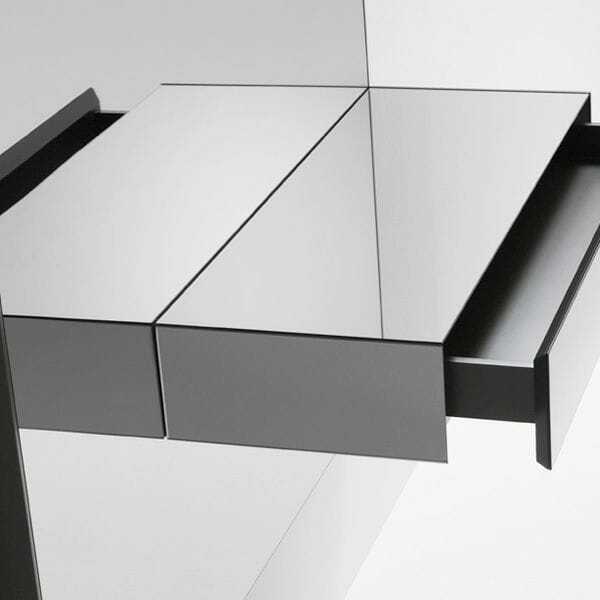 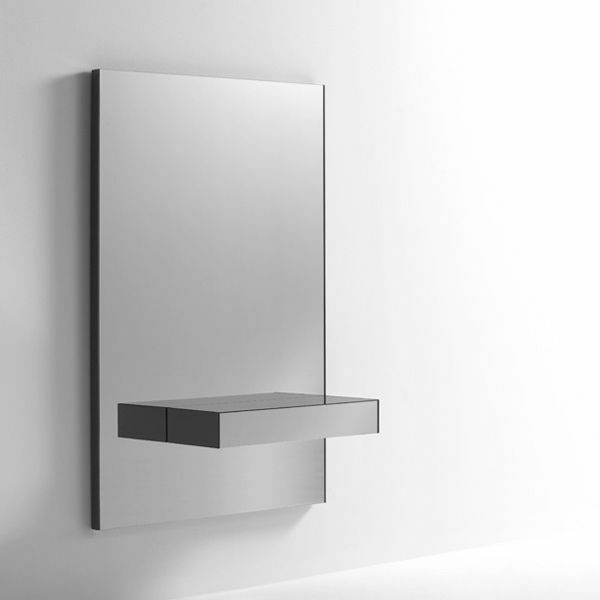 Available in two versions with different back panel sizes and drawer positions.